Age-related neurodegenerative diseases such as Alzheimer’s disease and other forms of dementia remain of one of the prominent challenges in modern day society, with increasing rates of diagnosed cases and the accompanying costs for dementia care. This presentation will focus on the unmet medical need, current understanding of disease biology, emerging scientific opportunities and the role of external partnerships in advancing novel treatments for neurodegenerative diseases such as Alzheimer’s disease, Parkinson’s disease and others. 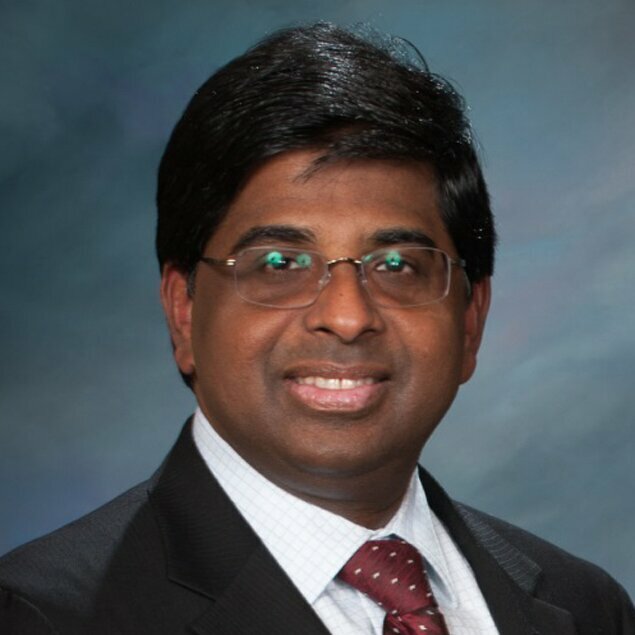 Murali joined Abbott/AbbVie in 1993 and subsequently held various positions of increasing responsibility leading research programs and research teams in neuroscience, pain, renal and urology – advancing multiple clinical candidates across these therapeutic areas. He has extensively published in scientific journals and was inducted to the Volwiler Research Society in 2002. From 2009-2013, Murali took on the role as Head of the then newly formed Global External Research group, leading a scouting group focused on developing external innovation strategies with various therapeutic areas, and enabling the identification, diligence and establishment of external collaborations around emerging science, targets, technologies and preclinical assets. He was also responsible for the leadership of AbbVie China R&D Center in Shanghai, since its inception in 2009 and subsequently led the Renal Discovery Therapeutic Area, advancing scientific research capabilities in Chicago & Shanghai, and via a network of external academic partnerships. Since 2015, he has taken on a leadership position within AbbVie’s Search & Evaluation team, with responsibilities for accessing and advancing opportunities in in the Neuroscience Therapeutic area. Murali obtained his undergraduate training in pharmacy from Banaras Hindu University, India and a PhD in pharmacology from the School of Pharmacy, SUNY at Buffalo, New York. He completed his post-doctoral training in molecular biology at the Baylor College of Medicine, Houston, and has an MBA degree from the Lake Forest Graduate School of Management. AbbVie began as the pharmaceutical leader, Abbott, which was founded in 1888 by Chicago physician, Dr. Wallace Abbott. Since then, Abbott has evolved to become a global healthcare leader, delivering innovative pharmaceutical, nutritional, diagnostic, and medical products to people in more than 150 countries. On January 1, 2013, AbbVie was founded, a global biopharmaceutical company with the focus and capabilities to address some of the world’s greatest health challenges. AbbVie has the stability, resources, expertise, and passion to discover, develop, and bring to market groundbreaking science to solve the biggest health problems that face the world today and tomorrow. Our discovery and development efforts are focused on a core set of therapeutic areas where we have proven expertise and where we believe we can have an even greater impact on the disease and how it is managed. These core areas of focus include immunology, kidney disease, liver disease, neuroscience, oncology and women’s health. We are investigating both small and large molecule approaches, and our internal research efforts are balanced with external collaborations across industry, academia and healthcare authorities.